sugar, glucose syrup, citric acid, sodium ascorbate, lime juice concentrate, extract of a Ricola herb mixture (elder, horehound, hyssop, lemon balm, linden flowers, mallow, peppermint, sage, thyme, wild thyme), Asian ginseng extract powder (root) [contains: maltodextrin, silica], vitamin B6/B12 blend (pyridoxine hydrochloride, cyanocobalamin) [contains: maltodextrin, sodium citrate, citric acid], lemon balm extract, natural flavors. Suggested use: For adults and children 4 years and above use as a dietary supplement, one serving twice a day. Do not bite or chew. Dissolve slowly in the mouth. Warnings: Keep out of reach of children. Consult doctor before use if pregnant or nursing. Other information: Protect from heat and moisture. balm, linden flowers, mallow, peppermint, sage, thyme, wild thyme), Asian ginseng extract powder (root) [contains: maltodextrin, silica], vitamin B6/B12 blend (pyridoxine hydrochloride, cyanocobalamin) [contains: maltodextrin, sodium citrate, citric acid], peppermint extract, natural flavors, natural color caramel. Keep out of reach of children. Consult doctor before use if pregnant or nursing. Suggested use: For adults and children 4 years and above use as a dietary supplement, take serving size twice daily. 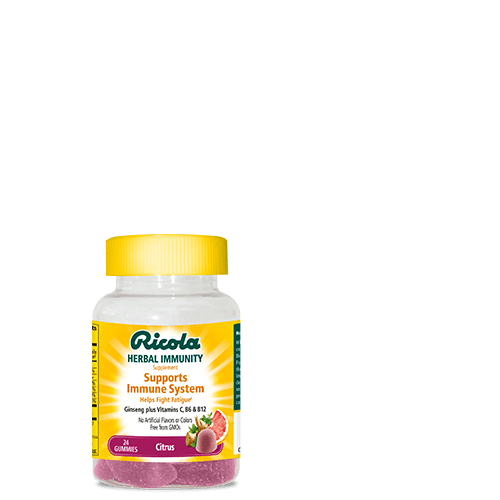 When you’re looking for support for your immune system, Ricola Herbal Immunity can help. 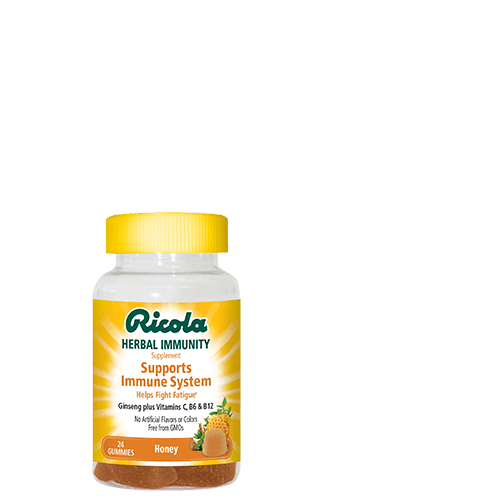 Made with Vitamins C, B6 and B12 to support your immune system. 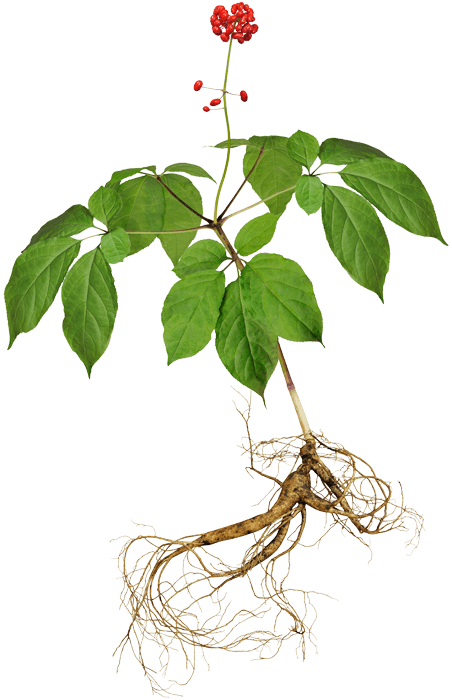 Plus clinically studied Ginseng to help fight fatigue. All combined with Ricola’s 10 herb blend. 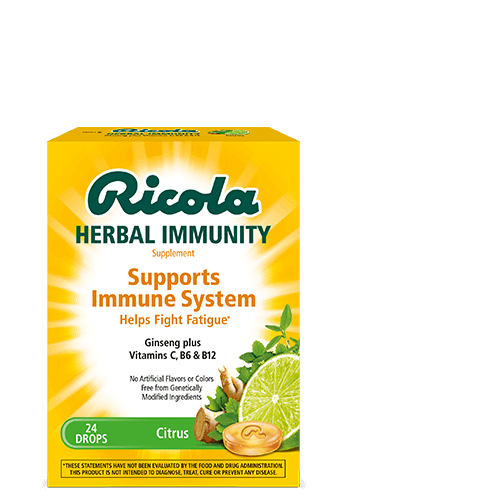 Available in citrus or honey flavor, lozenges or gummies. No artificial flavors or GMO ingredients.